Tom Tivol is one of the most respected jewelers in the Kansas City area and a nationally acclaimed G.I.A. graduate gemologist, lecturer and teacher. Tom has been buying and selling diamonds, colored gemstones, pearls, and providing beautiful jewelry to clients around the United States for over 35 years. Tom authored and teaches his course in Gemology and Appraisal Ethics in the School of Art and Design at the University of Kansas in Lawrence. 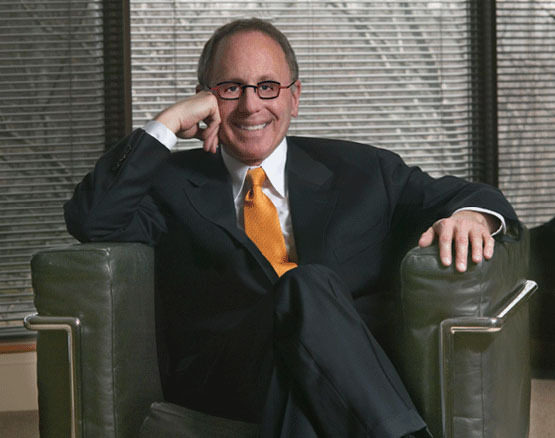 Tom spent his early years in his family’s retail jewelry business, Tivol, Inc. and served as its president from 1989-2004. During his tenure, Tivol achieved recognition as one of the finest jewelers in America. He was consistently called upon by the national media to issue opinions about trends in the jewelry industry and wrote many editorials for national trade publications. He lectured at national trade shows and was a frequent speaker at the prestigious international seminars held every five years by the Gemological Institute of America. The core products of Tom Tivol Jewels are diamonds, colored gemstones, classic and fashion cultured pearls, antique and estate jewelry and custom designs. Services include repair of all jewelry and timepieces, multiple kinds of appraisals, restyling of old jewelry, selling old jewelry and seminars provided to the community through a variety of private and public venues.